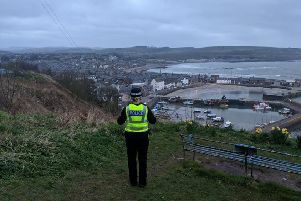 Two males aged 18 and 19 and an 18-year-old female have been charged in connection with numerous alleged thefts from gardens in the Marykirk area in recent weeks and a report is to be sent to the Procurator Fiscal. Officers from the Laurencekirk Community Policing Team launched an investigation after ornaments, plants and solar lights, worth a low, three-figure sum, were taken from properties in the area. PC Fiona Lawson, who investigated the incidents, said: “We would like to thank every person who took the time to assist with our enquiries.